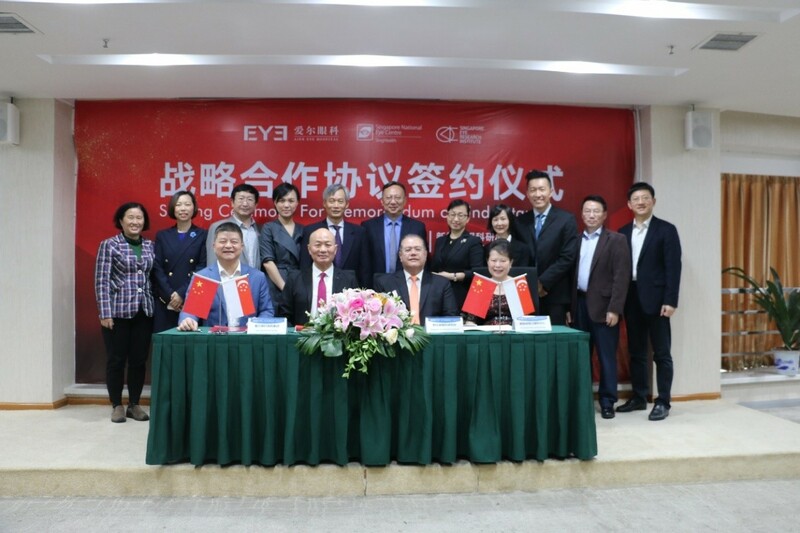 On March 31th, AIER Eye Hospital Group with National Eye Institute of Singapore (SNEC) & Singapore Eye Institute (SERI) signed a Memorandum of strategic cooperation agreement, which outlined the two sides decided to cooperate in academic research, personnel training and technology transformation. On March 31th, AIER Eye Hospital Group with SNEC & SERI signed Memorandum of strategic cooperation agreement. As the world's first - class ophthalmic medical institution, the National Eye Institute of Singapore (SNEC) & Singapore Eye Institute (SERI) not only participates in but promotes the development and progress of human ophthalmology, they also have rich experience in academic training, clinic translation and other aspects. The strategic cooperation between AIER and the SNEC will help to promote AIER’s commercialization, Education and Research to world class, and accelerate the transformation of scientific and technological achievements into real products.